Well, I finally finished the first pack of hopefully more to come.. again, I tried to keep them as accurate as possible, but due to the restraints of how the textures are set up, (ie, top and underside of the wing are the same), this isn't always possible. 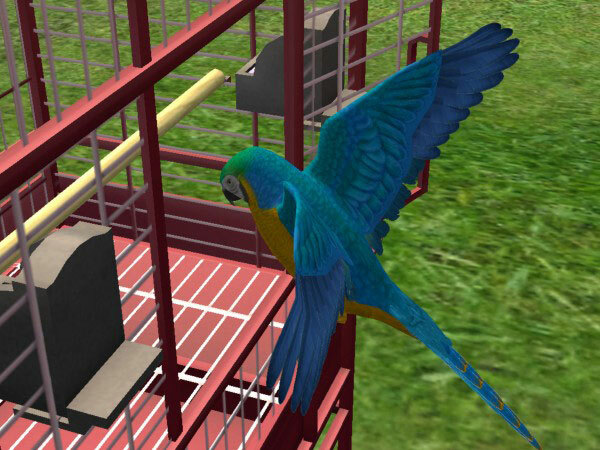 Blue and Gold: Lovely electric blue and golden-yellow coloration. 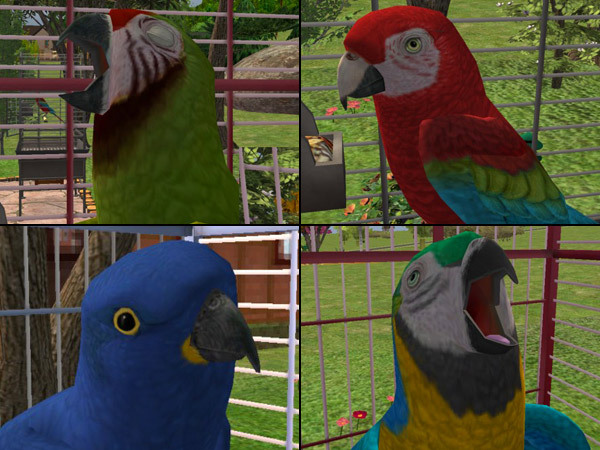 One of the most popular macaws available as pets, along with the scarlet. Known for having a great all-around personality. 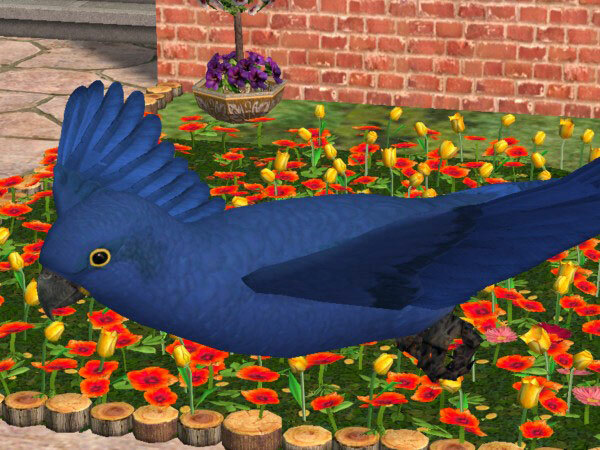 Hyacinth: Largest living parrot; very endangered. Royal blue, with a gold-striped black tongue and golden-orange skin around the eyes and beak. Known for being gentle giants. Greenwing: Mostly a deep red, similar in coloration to the scarlet but with green in place of yellow. 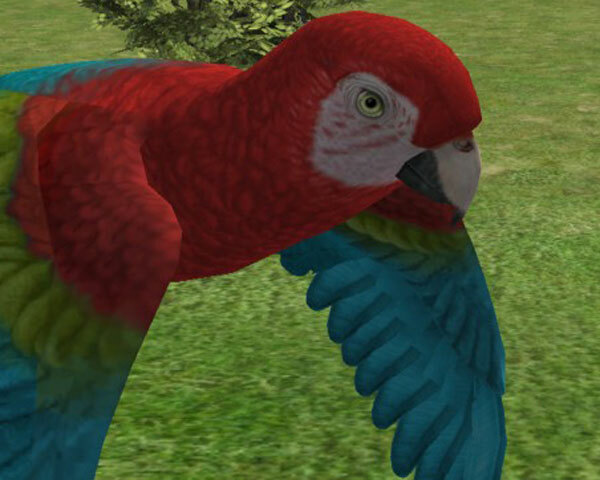 One of the largest macaws, a step down from the Hyacinth. Military: Primarily green, with a red patch of springy feathers at the crown. 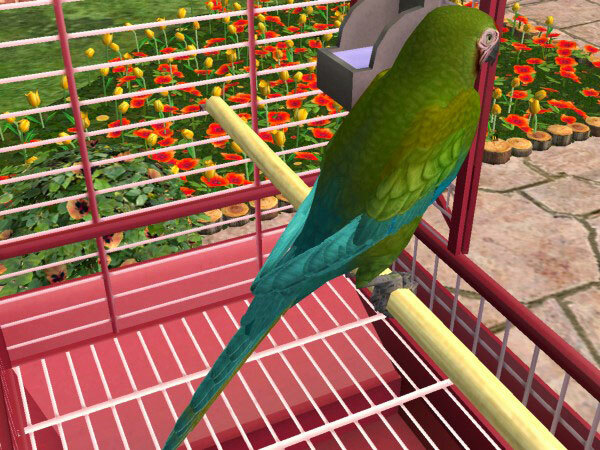 Socialble birds, though descriptions on individual behavior varies. 1575 people have said thanks to Sae sae for this download.